1. General Le Club AccorHotels terms and conditions apply to the "Work & Play" offer and you must be a Le Club AccorHotels member to benefit from it. 2. To take advantage of this offer, Le Club AccorHotels loyalty programme members must register for the offer (between 11 March 2019, through 11:59 p.m. Central European Time (CET), 31 May 2019) by clicking on the 'Register now' button above and then following the instructions. for a stay in one of the participating hotels in the Le Club AccorHotels Loyalty program. This bonus of Rewards points is offered in addition to the Rewards points and Status points that are earned by the Le Club AccorHotels member for each eligible stay as per the Le Club AccorHotels. General Conditions of Use and are calculated based on a Classic membership status level earn rate. You will be awarded x3 Rewards points for your entire stay should your stay include Friday, Saturday or Sunday. 4. 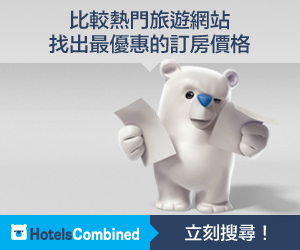 This offer is valid for a member』s stay from 11 March to 31 May 2019 in one of the participating hotels in Asia Pacific, and booked between 11 March 2019, through 11:59 p.m. Central European Time (CET), 31 May 2019. 6. Any consecutive stays (check-out and check-in same day) in the same hotel, will be considered as a single stay. This single stay will be eligible once on the 「Work & Play" offer. 10. The Le Club AccorHotels Rewards points will be credited to the member』s account within 10 days of the member checking out.